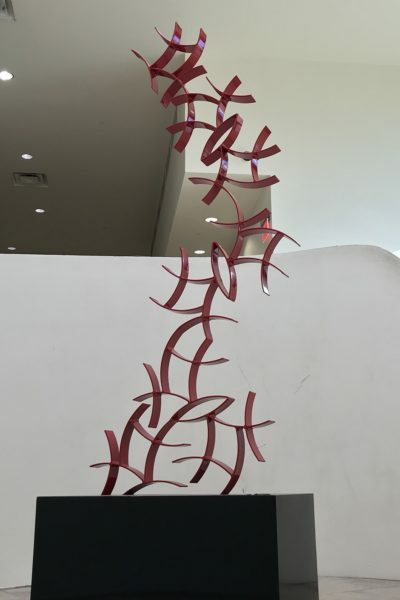 Oklahoma City University just got a little more “artrageous.” Earlier in the semester, the university welcomed a new artist-in-residence, sculptor Morgan Robinson. 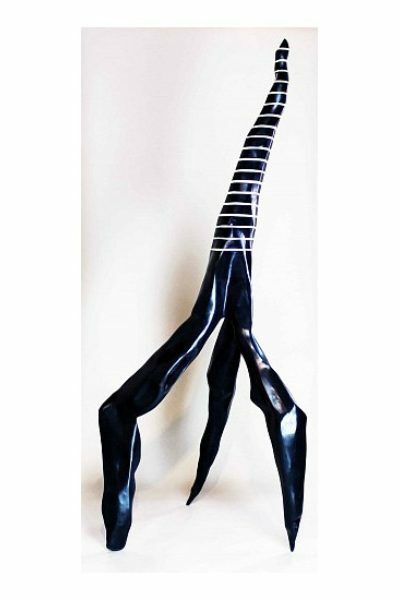 Robinson, a native of Stillwater, OK, specializes in large sculptures, and has had his art featured in Oklahoma, Colorado, Washington D.C. and Japan. 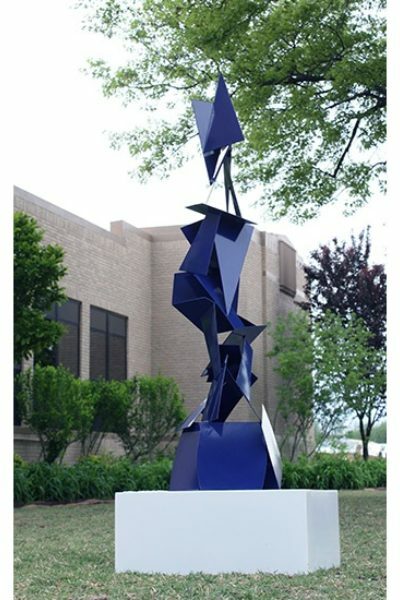 His most recent installation, however, is right here at the OCU campus! 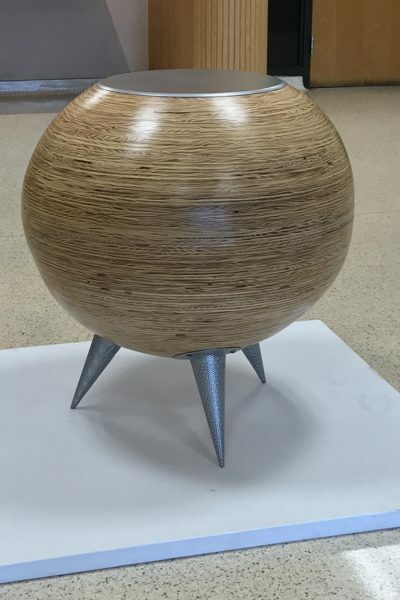 Currently, Robinson has three works on display to the public: “Sphere,” located in the foyer of Walker Hall, “Curves 8” located near the Caf, and “Consistency of Memory," located at the Law School downtown. In addition to these, two more sculptures have been placed in Wilson House, the university’s presidential residence, and a fourth public statue is slated to be installed outside the Norick Art Center. 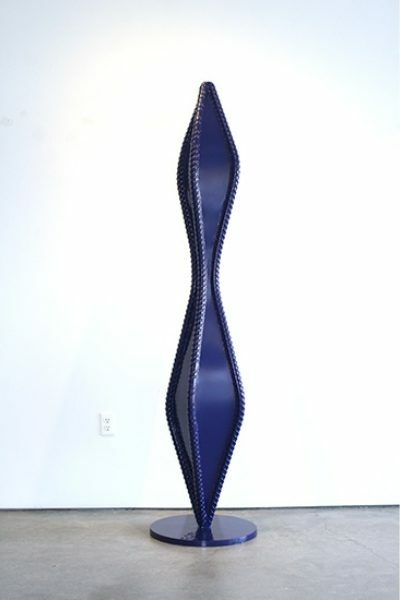 Robinson is bringing not only his art, but also his experiences to OCU in the form of classes taught on campus, which focus on both the art of sculpting, as well as working professionally in the realm of visual arts. “I’m excited about the opportunity for our students to experience an artist like Morgan who is creating artwork on such a large scale—he is installing work from Washington D.C. to Japan," says Heather Lunsford, director for the School of Visual Arts. He has a unique perspective on how he views the world and translates that into his artwork. 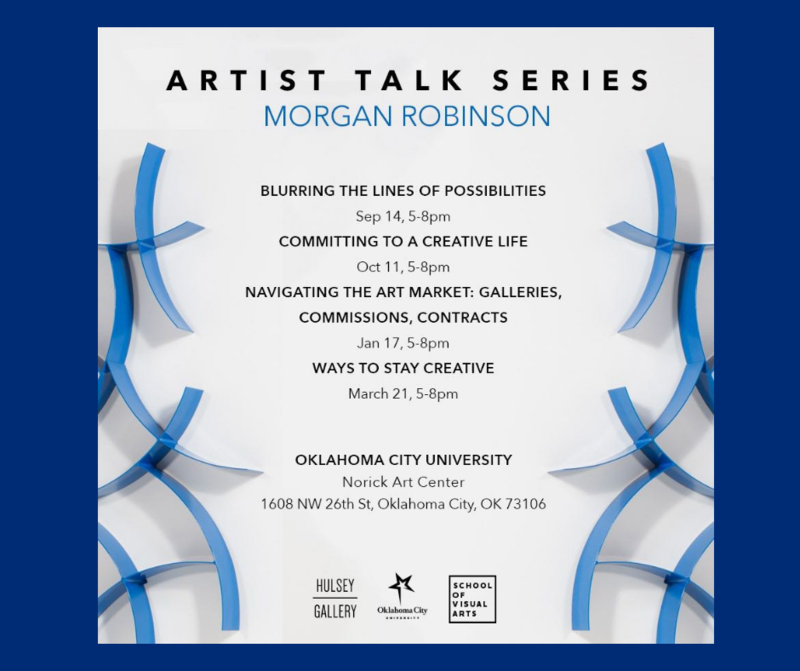 Robinson's talks are open to the public from 5-8 pm at the Norick Art Center, located at 1608 NW 26th Street. See below for upcoming dates.